Today we are thrilled to welcome Freda Warrington as our guest of the day! 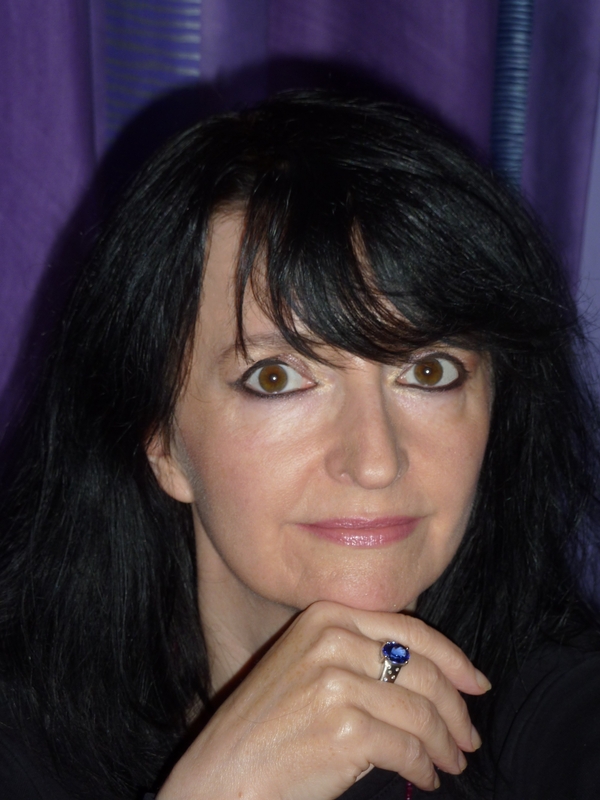 Freda is the author of the outstanding fantasy series, the Aetherial tales: Elfland, Midsummer Night and now Grail of the Summer Stars. To celebrate the release of the third book in the series, we are delighted to have the talented Warrington over to talk inspirations and influences. Give a warm welcome to Freda, folks! 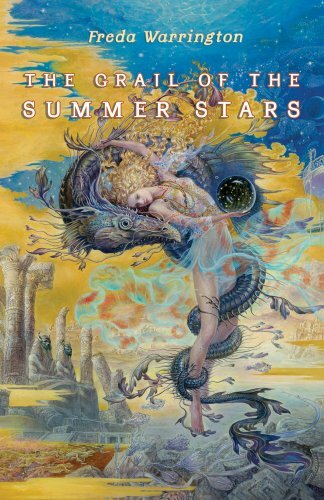 Grail of the Summer Stars can be read as a stand-alone, although it helps if you have read the first two because it completes a background arc across the three stories. Although the Aetherial Tales are set in the real world, my un-human Aetherial characters often wander off into the Otherworld. As for Grail, I wanted to write a mystery that was also an adventure, and a romance, and eventually several other (unplanned) things too. Unplanned revelations that lift your story off the ground and take it to places you didn’t expect are so satisfying. The best part of writing is reaching that magical place where you no longer care about any other book you’ve ever read, any film you’ve seen, or the “imaginary critic” looking over your shoulder. You become so immersed in your own created world that it takes on a life of its own, and becomes so real that the novel almost writes itself. That’s what I call flying – especially when you’re not even tempted to look down! It’s not always easy reaching that happy place. Every time I start a new book, it’s like standing at the bottom of the mountain again and wondering how I’ll ever get up that steep rugged trail. Sometimes – when I’ve had enough of staring at a blank screen! – I’ll go to my bookshelf and pull out some favourites to remind myself that putting one word in front of another is not impossible, after all. The books that help are nearly always very old friends from my teenage years. 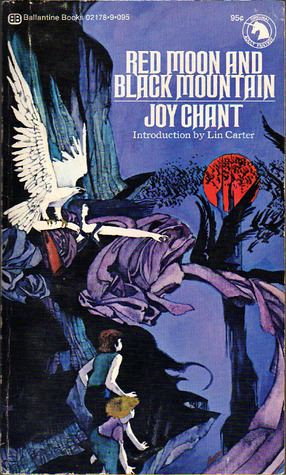 Perhaps Red Moon, Black Mountain by Joy Chant, or The Last Unicorn by Peter Beagle, or a Tanith Lee novel, awash with gothic imagery and colour. Maybe some Alan Garner or Michael Moorcock. I might look at favourite paintings or listen to music to ease me into the “zone”. For Grail I wanted to capture a feel of enigma wrapped in mystery, or however the saying goes. Stevie, a museum curator, receives a strange, mesmeric painting from an old friend, Daniel. But why has he sent it, and why has he gone missing? That’s just the start as Stevie tries to unravel the deeper mystery of who she really is, and what the gorgeous stranger Mistangamesh wants with her, and what’s become of his naughty brother Rufus… and then all the stuff that lies even deeper in the Otherworld. The biggest surprise for me was the resolution of an arc that simmered in the background of the first two novels. I didn’t realize it was going to be so crucial until a certain character loomed up in the story and gave me a revelation – aha, so that’s what this is about! Thank you, subconscious. I love you. (Sometimes!) Anyway, although Grail of the Summer Stars reaches a fairly epic conclusion, I’ve a feeling that my imagination is very far from finished with my Aetherial universe. To me, it’s a special place in which there are yet more stories to be told. Follow Freda on her website, blog, and on facebook. We have one copy of Grail of the Summer Stars up for grabs! The contest is open to ALL and will run until Sunday May 12 at 12:01am EST. To enter, use the form below. I’m going to go with Charles de Lint’s The Little Country. Thank you for the lovely thoughts, Freda, and for adding yet more books to my TBR list – both yours and Joy Chant, which I feel like I ought to have read already but haven’t. My first favorite was Emma Bull’s War for the Oaks, but I also really love Freda’s Elfland! I think I’ll go with Patricia Briggs’s Mercy Thompson/Charles & Anna novels. I haven’t read much about faries, and would love to read Freda Warrington. Robert Jordan’s “The wheel of time” is one of my favourites. There are three urban fantasy novels from the 80s that always remind me of each other, even though they are not the same. Emma Bull’s “War for the Oaks”, Charles de Lint’s “Jack the Giant Killer” and “Gossamer Axe” by Gael Baudino. There were elves and battle and all the old fairy tale creatures, made either really cool, or really scary. In a slightly different tone was R. A. MacAvoy’s “The Grey Horse” (which I had forgot about until I started thinking about this question, and when I was double-checking the spelling for the author’s last name on Amazon, just found it for the Kindle! Yippee!) Irish myths and legends. I love the Fey in the Mercy Thompson series, but I also love the very different Fey in Laurell Hamilton’s Meredith Gentry series. When I was younger I found Bordertown and always loved those stories and the urban fey in them. On a different note, Michelle Sagara and Lynn Flewelling have fey like species in their books that I really enjoy. My favorite Fey is Tina! Alright, then I’ll go with books by Maggie Stiefvater and Holly Black. It would have to be Disney’s PETER PAN. Tinkerbell has so much attitude!!! I imprinted early on Mercedes Lackey’s SERRAted Edge series. Racecar driving elves in the suburbs, sure, I’ll go with that. My favorite is War For the Oaks by Emma Bull. That phouka! I like them in Lord of the Rings. Yes, the Elves in The Lord of the Rings are my favourite – if they count – failing that, the elves in Lords and Ladies by Terry Pratchett are also fascinating. I’d have to say that so far, my favourite book involving the fey has to be Except the Queen, by Jane Yolen and Midori Snyder. It was a wonderful book, and I loved reading it! Valiant by Holly Black: abandoned subway stations, faerie drugs, duels, trolls, iron, it’s got it all! The Nac Mac Feegle have to count as Fey so I’m going to go with the Tiffany Aching books by Terry Pratchett. The Wee Free Men etc. Hmm. 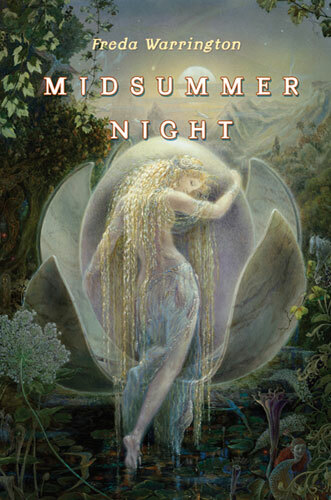 Either the fey in Neil Gaiman’s STARDUST (especially as painted by Charles Vess) or the beautiful and cruel fey in Holly Black’s TITHE sort-of series. So many books to choose from, I am a fantasy freak so I have whole bookshelves dedicated to the fey. The Faery Reel is a short story collection that gives you every possible form of fairy. I loved Wildwood Dancing, Peter Pan, My Fairy Bad Day, like I said so many! Hands down my favorite is definitely The Sevenwaters series by Juliet Marillier!! These are the kinds of books that first made me LOVE reading. Such a great giveaway, thank you! My favourite book or film that involves the fey or fairies!? That’s a bit of a hard choice! I have not become acquainted with many fey in novels, as that is one part of the fantasy genre I am always hopeful to sink myself into! And, of course, there is the possiblity I am forgetting a book at the moment! Therefore, I will mention that the film series I do enjoy seeing is “Tinkerbell” due to how they stitch life lessons into the storylines for children. I also appreciated Julia Robert’s character protrayal of “Tink” in “Hook”. It’s been my intent for awhile to read: Wildwood Dancing! I noticed someone else mentiond this title! I came across it at the library and have had my interest perked ever since!! I enjoyed getting this glimpse into the author’s writing life, and I will most definitely be requesting this book at my local library — err, rather, series! I adore reading series in order, and if I am blessed to *win! * I will be forever grateful to have stopped by today to be in time for the giveaway! A note of gratitude to The Book Smugglers: Thank you for allowing us to write a blog comment to participate! I always struggle to cast entries in Rafflecopter giveaways because I am not social media inclined, and they always involve a service I do not use! Bless you! Probably the Mercy Thompson series, for me. I really like Thea Harrison’s Elder Races books. Oh, oh, OH! What a lovely post. 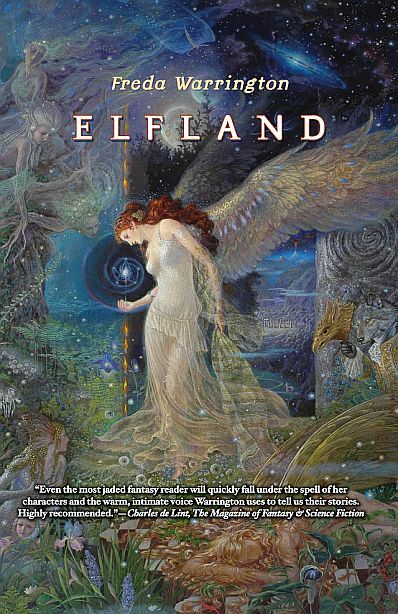 I read Elfland a couple of years ago and oh, my! I loved it so. 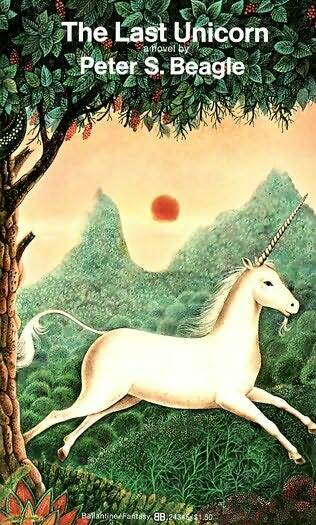 It is definitely among my favorite faerie-type stories. I recently read Gaiman’s Stardust and enjoyed it very much.. also loved Except the Queen by Yolen & Snyder. Oh my those covers on Freda’s books are amazing!! Lord of the Rings was my first real exposure to fantasy so I’ll go with that.